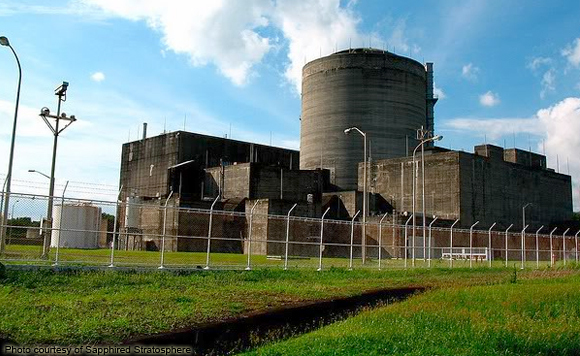 Bataan provincial and congressional officials, religious and cause-oriented groups on Friday, November 18 have reiterated their strong opposition to President Rodrigo Duterte’s move to revive and operate the mothballed Bataan Nuclear Power Plant in Morong town. Politikos headed by Bataan Governor Albert Garcia and brother Bataan 2nd District Rep. Jose Enrique Garcia III, Bataan Bishop Ruperto Santos and the Nuclear Free Bataan Movement (NFBM) chaired by Francisco Honra and co-chaired by Atty. Dante Ilaya all considered the BNPP a threat to the community. The lawmaker even said Duterte has not given the “green light” to operate BNPP. “The President said the move fo BNPP revival operation will be studied if feasible,” he said. He said that with his brother the governor, they went to Davao last week and told the President of their concern about the safety of reviving the nuclear plant. “We have big concern with regards to safety. In tourism, it will also big effect. The development of the resorts and the putting up of business with the surrounding might not be pushed through if the investors learn about the plan to revive the BNPP,” Albert stressed. “Even though without a fault line, the Philippines and big parts of Asia are within the Pacific Rim of Fire, thus, we are susceptible to earthquake. Bataan is in-between the National Capital Region and Regions 3 and 4 which are heavy-populated. In case a problem occurs with the BNPP, millions of Filipino people will be affected,” he added. Garcia said that government should not think of the big amount of money spent for the BNPP. Meanwhile, Santos said government officials should take into consideration the life and future of its people and environment and not the profit or material convenience. “We are firm with our decision to oppose any move to rehabilitate BNPP. We have tarpaulins in all churches in opposition to BNPP and we will disseminate the message to all diocesan schools,” the prelate said. Meanwhile, the NFBM considers nuclear power as the deadliest energy source invented by men. It also urged government to study the use of renewable energy like wind, solar, geothermal and hydro that they said are still not sufficiently being tapped. “Study all the renewable energy sources and even the nuclear power to know what options to take that would not give big risk,” Garcia pointed out.